Student Council officers are elected every year from grades 5-8. They serve as liaisons for the school and are actively involved in leading a variety of student activities. Some of their responsibilities include organizing spirit rallies, leading school-wide prayer services and masses, maintaining a comprehensive recycling program, publishing a school newspaper, and operating the “Snack Shack,” a snack bar that serves healthy treats once a week during recess. Serving on Student Council is a wonderful way for students to get involved, show school spirit, and develop leadership skills. 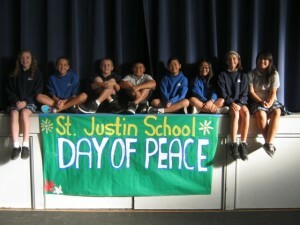 Student Council members lead a prayer service in honor of the International Day of Peace. St. Justin School is very proud to participate in the Santa Clara City Safety Patrol Program. This program is coordinated by a member of the Santa Clara Police Department who meets regularly with the students to train them on parking lot safety. Participating students, along with a supervising teacher, serve as crossing guards before and after school to monitor traffic flow and ensure pedestrian safety. Students 10 years and older may participate in this program. 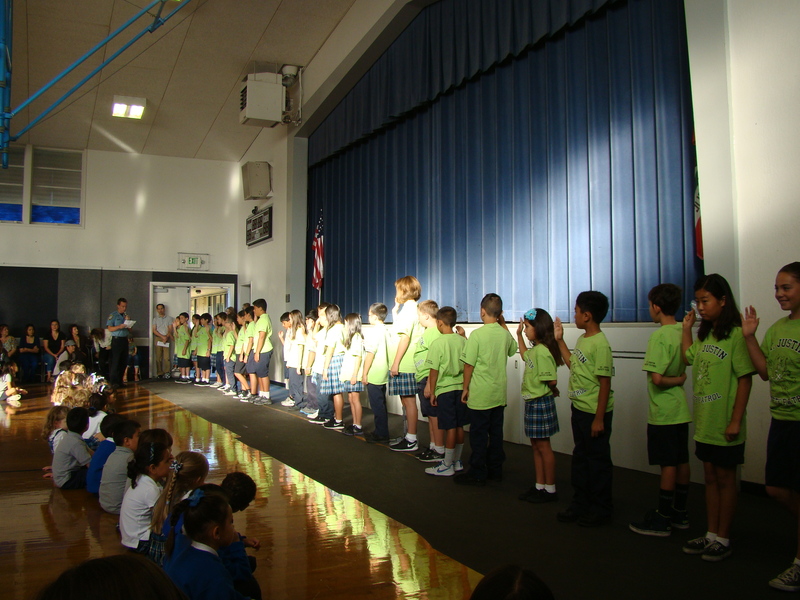 Safety Patrol members are sworn in by a member of the Santa Clara Police Department. D.A.R.E. is a 10 week program designed to help the students in fifth grade recognize and resist the pressures that may influence them to experiment with tobacco, alcohol, marijuana, and other drugs. The program also teaches the students that violence hurts everyone and is never an option for solving problems. The Santa Clara Police Department sponsors a graduation ceremony for participating students upon completion of the program. 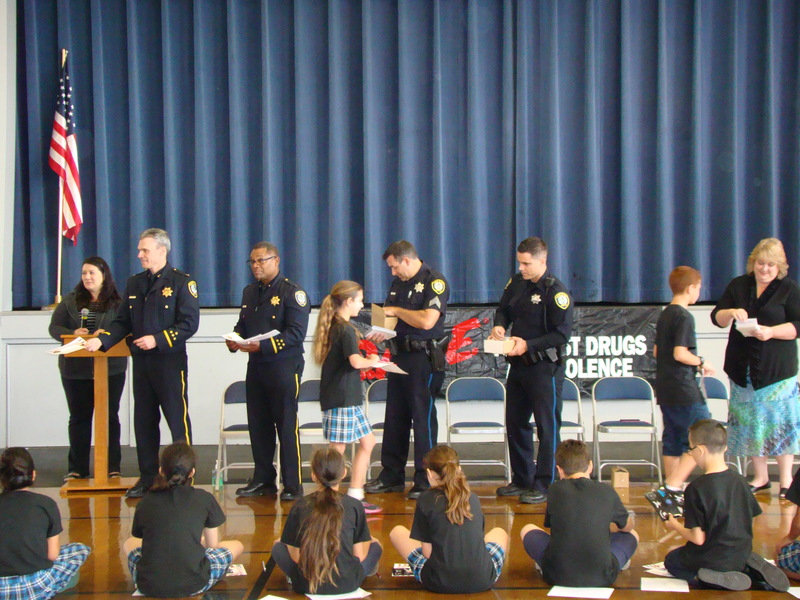 Officers from the Santa Clara Police Department congratulate our D.A.R.E. graduates.